Ingersoll Rand® is a leading manufacturer and supplier of premium-quality material handling and lifting equipment that is specifically designed to meet the requirements of the global oil and gas and drilling industries. Our high-performance hoists, winches and BOP handling systems are equipped with advanced features for optimum ease-of-use. These products are manufactured from extremely durable materials, enabling them to withstand even the harshest environments and operating conditions. Ingersoll Rand® air and hydraulic powered hoists bring outstanding control, reliability as well as safety to all load handling operations, including onshore and offshore applications, with capacities up to 200 tons. Built from rugged cast iron and steel construction, Ingersoll Rand® winches are extremely durable and reliable. Our winches are trusted worldwide in the marine industry for both utility and man riding applications and are designed to meet strict local safe lifting standards around the globe. Our winches include the cutting-edge dedicated Manrider® air winch system for on-site personnel lifting to and from offshore platforms, as well as the Hydraulic Force Series™ Dual Purpose winch built specifically for land-based rigs. Ingersoll Rand’s BOP Handling Systems are designed for storing, lifting, lowering and transporting BOP stacks used on drilling and/or production facilities as well as on rigs. They are built from corrosion-resistant components and paint and are tough enough to survive a harsh oil field environment. Our global network of authorized service providers are thoroughly trained and can provide you with the expert service you need 24/7. This includes onsite maintenance and repair, operation and preventative maintenance demonstrations, start-up assistance, annual inspections, instruction on product operation and load testing, full unit overhaul and recertification. 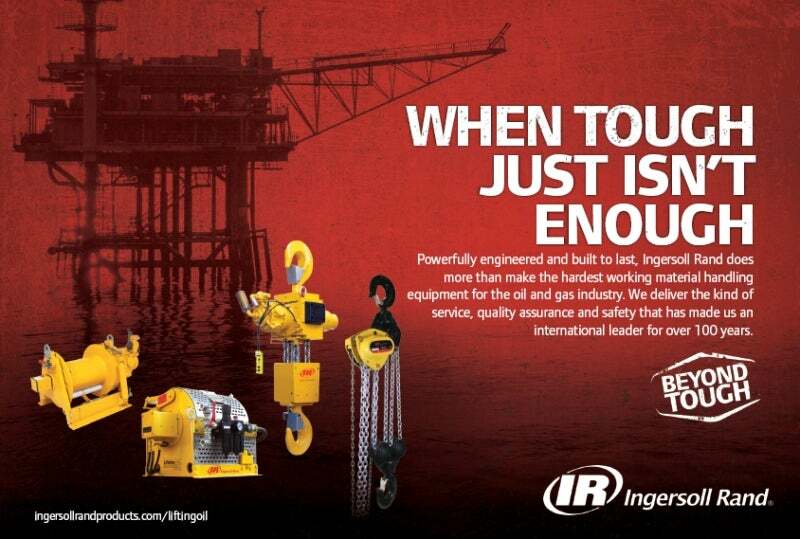 Ingersoll Rand has offered an extensive range of reliable hoist and winch systems since 1926. We offer a broad portfolio of world-class material-handling equipment in the Americas, Europe, the Middle East, India, Africa and the Asia-Pacific region. Ingersoll Rand is a manufacturer of air and hydraulic winches and hoists. Its products incorporate innovative ideas to solve the most challenging lifting, pulling and positioning applications. They are ideal for work in harsh environments and are trusted worldwide by offshore workers, miners and heavy construction crews. Trusted by offshore industry personnel worldwide, Ingersoll Rand’s BOP Handling Systems are high-quality, innovative products. Bring outstanding control, reliability, long life and safety to your load handling operations with Ingersoll Rand’s manual and powered hoists. Ingersoll Rand offers a comprehensive line of repair and replacement parts and kits for its products. Ingersoll Rand's global network of authorised service providers are extensively trained and meet the stringent criteria for facilities, testing capabilities and inventory levels. This brochure showcases Ingersoll Rand's innovative winches and hoists portfolio, including the Liftstar, Pullstar, Third-Generation, Infinity and Classic series. US-based material handling specialist Ingersoll Rand is pleased to announce the launch of its latest pioneering lifting solution, the Hydraulic Force Series™ dual-purpose winch.